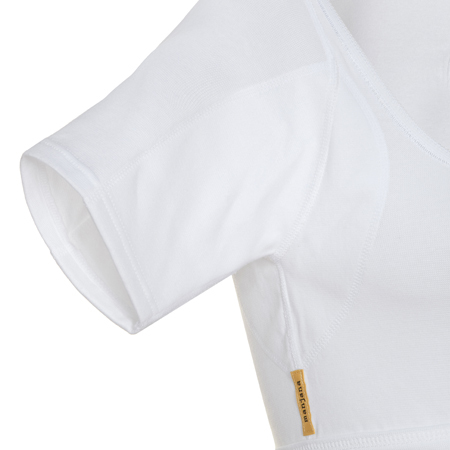 manjana® functional bodywear are premium quality undershirts with large integrated sweat protection pads that hinder the formation of sweat stains on outer wear. 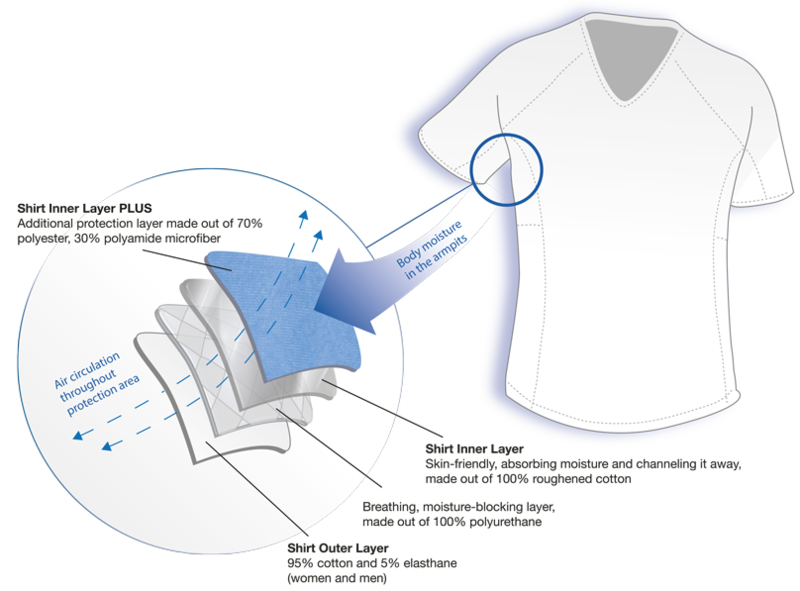 The protection out of 70% polyester and 30% polyamide microfibre absorbs large amounts of underarm perspiration and unnoticable releases it again. For an ideal protection against sweat stains on clothing. The blue underarm protection does not show through to the outside, because it is on the body-facing side! 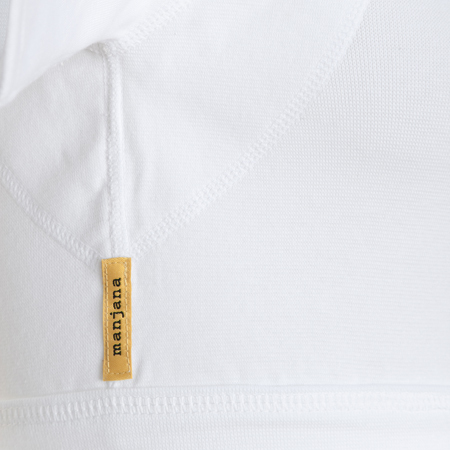 The Plus-shirt is available in white in the proven and popular cut men-V-classic . All shirts in the men's collection are made out of 95% cotton and 5% elastane. The men's V- neck has a casual V-neckline and can perfectly be combined with all kind of business and casual wear. 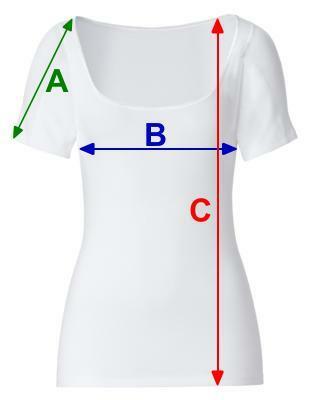 The V shaped neckline is not visible under shirts with the upper button opened. The protection pads don’t interfere with movement. Due to its consistency (95% cotton) it is breathable and high in comfort. Information according to textile labelling law: This shirt consists of 100% cotton and 5% elastane, the protection area consists of 70% polyester and 30% polyamide microfibre (please also see details under heading "Features").